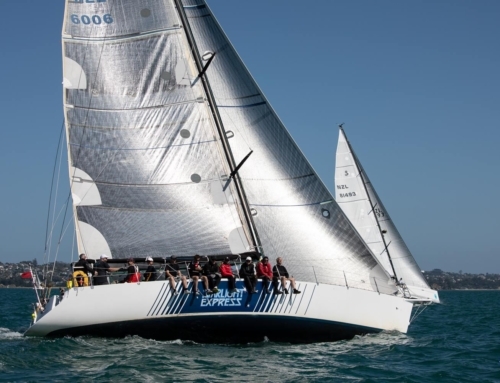 The TP52 Super Series held its 2018 World Championship (the midway point of the season) with the third of five regattas in Cascais, Portugal last week. 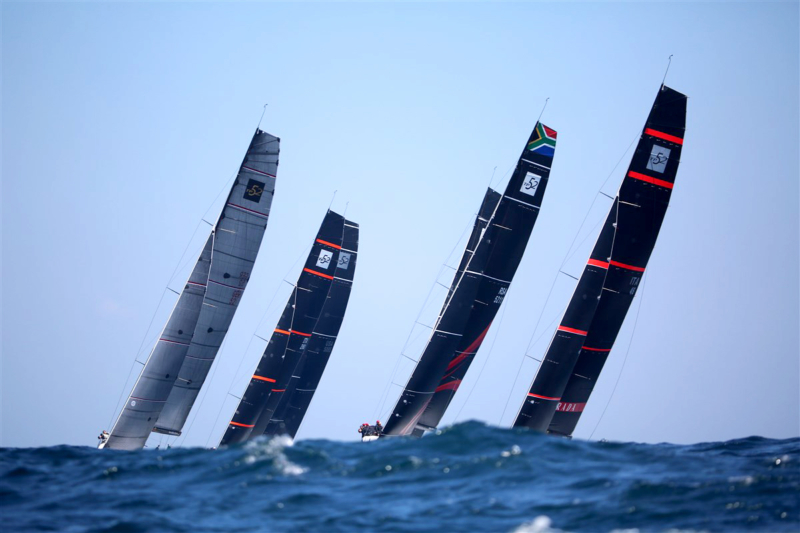 The first two regattas of the Series, and the last two, will be held in the tranquil waters of the Mediterranean. As Cascais is known for its wind and waves, it was always going to be a thorough test of boats and crews. And it did not disappoint. Five of the races where in 23 or more knots of wind, and many times it blew over 25. Whenever you looked upwind, you just saw white water and over powered boats. Nine new boats were built this season, with a mix of owner and pro drivers; professional names you will recognise like Dean Barker, Francesco Bruni and match racing and AC veteran Peter Holmberg. It still seems strange to me, almost a bit unfair, to have a hardened professional fighting on a crowded start line against an extraordinarily successful business man. But the owners love it – where else could you shoot hoops with Steven Adams, or play a round with Tiger Woods? The strange thing, however, is that the pros don’t dominate the results. How can that be? 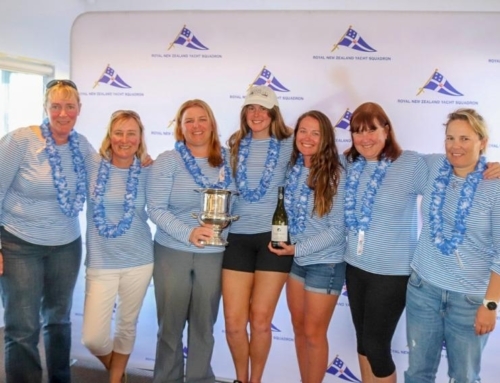 We saw lots of action last week – sails blowing out, gear failure a plenty, wipe outs, and the whole fleet often arriving at the leeward mark together, overlaps everywhere. Not for the faint hearted – professional, amateur or coach! See, I am the coach of Sled. The only boat in the fleet built in New Zealand. Superbly built, I might add, by Brad Marsh and the team at Core Boat Builders in Warkworth. Sled is owned and driven by Mr Okura, and while we sail under an American flag, the program is very Japanese, as is Mr Okura and the top level management of his team. From there we have a mixture of nationalities – Italian, Danish, Canadian, German, Austrian, but most of all Kiwi. Twenty of us in team clothing each morning, Kiwis filling many of the key spots. Ray Davies is the tactician, Don Cowie and Robbie Naismith are trimmers and Burgs provides the power grinding. I coach the afterguard and Mr Okura, Murray Jones does mast set up and speed coaching. Tom Peet, Cam Marshall, Adam Riley & Chris Dawson work late into the nights when necessary to make sure the boat is ready and presented perfectly each day. The Japanese way – immaculate. A very tight and efficient team – the Sled team way. Over the years the Sled team has been at its best in light wind and struggled in a breeze. Clearly we have been making improvements, but you never know how much you have achieved until game day. And in the first race we were set for a second place finish, 25knots of wind, planing downwind with one gybe to go. Then pop! The tack blew off the gennaker and we ended the race in second to last instead. Pent house to out house! Really, this is the worst nightmare for the coaching team. You want the first touch of the ball and the first set of downs to go smoothly, not be a screw up. But then ‘no battle plan survives first contact with the enemy’. Now the Sled team needed to chip away, with a global view, because each race counts in the Super Series Championship, not a single throw out. And chip away we did with a 3, 7, 2, 3, 2, 3, to go into the last race tied on points for third with our training partners on Alegre. Sled’s confidence was high, but so was Alegre’s, windy conditions are their thing. In the last race Alegre was just too good for us. Not by much, but finishing third, just one boat length ahead of Sled, but that is all it takes. Dean Barker steered the Quantum boat to win the World Championship, with Azzurra second. 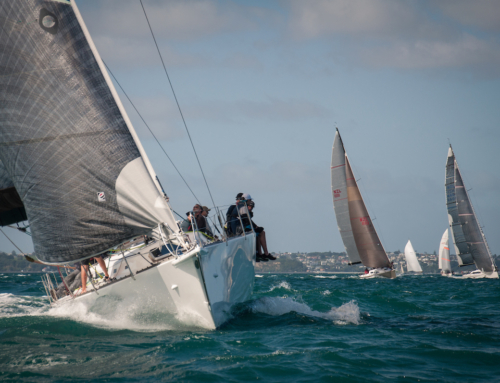 In each of the three Super Series regattas there have been boats that have surprised everyone, and what can only be disappointment for the owners. Now in the World Championship, Alegre gets on the podium for the first time in four years, but Provezza, with talent and money aplenty, finish seventh. Regattas can be like that. There are ones in which you can do no wrong, and ones that just don’t want to fall into place. Maybe team biorhythms or sun spots, or just good and bad luck! On Sled, we have a 3, 3, 4 overall in the regattas so far to put us a reasonable second for the season with two regattas to go. Game plan? Keep chipping away in each race. Overall the pros vs owners for the TP World Championship? Pretty mixed. More mixed than if you were shooting hoops with Steven Adams or playing golf with Ryan Fox, I would guess.